To secure their space in the course participants will be required to make a deposit of $200 that will be returned to them if they attend 70% of their Kaplan courses. Contracts to formalize this agreement will be sent to those accepted into the program. 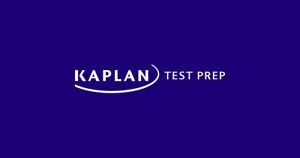 All participants will be required to send the scores for their test after taking the Kaplan Test Prep Course. The MCAT/DAT Prep Program is for dedicated Pre-Medical and Pre-Dental students planning to take the MCAT/DAT in Spring/Summer of 2019. If you are not Pre-Med/Pre-Dental you may still apply. The GRE/LSAT courses are for students interested in applying to professional or graduate school programs after graduating from N.C. A&T. Participants will meet on Sundays of the Spring semester on the date and times listed below. Each session will provide a comprehensive immersion into all aspects of the content and testing strategies of the current MCAT/DAT/LSAT/GRE. Each student will be required to attend every Sunday session scheduled. Students preparing the the LSAT will meet on Wednesdays (see below). PRAXIS is taken online and is self-paced. Scheduled Dates: You will find the tentative schedule for the MCAT/DAT/LSAT/GRE Prep classes below. Please ensure that you will be able to attend all classes before agreeing to participate in this program. GRE, DAT and LSAT participants will be allowed 2 excused absence. MCAT participants will be allowed up to 2 excused absences. Students who are taking less than18 credit hours tend to benefit most from this opportunity. Program Mission: To increase the Test Scores of Pre-Professional Students at North Carolina A&T State University. How to apply: NC A&T students will apply directly to the NC A&T Pre Professional Scholars Program (PPSP) by completing the application below and submission of your transcripts by Friday, January 6, 2018 by 5 pm. An unofficial copy of your transcript should be uploaded to this application. Upon review of all eligible applications, the PPSP committee will select applicants who meet the criteria for the test prep courses. *Decisions of acceptance will be made on a case to case basis. *Please complete the application below. ALL questions are required. Any questions should be forwarded to ncatppsp@gmail.com.